Citizen Kane (1941), starring and directed by Orson Welles, has topped several international polls, including five Sight & Sound critics' polls. This is a list of films considered "the best ever", so voted in a national or international survey of either critics or the public. Some surveys focus on all films, while others focus on a particular genre or country. Voting systems differ from poll to poll: some surveys suffer from biases such as self-selection or skewed demographics, while others may be susceptible to forms of interference such as vote-stacking. Vertigo (1958) was ranked number one in the most recent Sight & Sound critics' poll. Every decade, starting in 1952, the British film magazine Sight & Sound asks an international group of film critics to vote for the greatest film of all time. Since 1992, they have invited directors to vote in a separate poll. 63 critics participated in 1952, 70 critics in 1962, 89 critics in 1972, 122 critics in 1982, 132 critics and 101 directors in 1992, 145 critics and 108 directors in 2002, and 846 critics and 358 directors in 2012. This poll is regarded as one of the most important "greatest ever film" lists. American critic Roger Ebert described it as "by far the most respected of the countless polls of great movies—the only one most serious movie people take seriously." Bicycle Thieves (1948) topped the first poll in 1952 with 25 votes. Citizen Kane (1941) topped five critics' polls, with 22 votes in 1962, 32 votes in 1972, 45 votes in 1982, 43 votes in 1992, and 46 votes in 2002. It also topped the first two directors' polls, with 30 votes in 1992 and 42 votes in 2002. Vertigo (1958) topped the critics' poll in 2012 with 191 votes, dethroning Citizen Kane. Tokyo Story (1953) topped the directors' poll in 2012 with 48 votes, dethroning Citizen Kane. Seven Samurai (1954) topped the BBC poll of best foreign-language films and several Japanese polls. Battleship Potemkin (1925) was ranked number 1 with 32 votes when the Festival Mondial du Film et des Beaux-Arts de Belgique asked 63 film professionals around the world, mostly directors, to vote for the best films of the half-century in 1951. It was also ranked number 1 when the Brussels World's Fair polled 117 experts from 26 countries in 1958. Citizen Kane (1941) was ranked number 1 with 48 votes when French film magazine Cahiers du cinéma asked 78 French critics and historians to vote for the best films in 2007. It was also ranked number 1 with 48 votes when Chinese website Cinephilia.net asked 135 Chinese-speaking critics, scholars, curators, and cultural workers to vote for the best films in 2012. It was ranked number 1 with 49 votes when Spanish film magazine Nickel Odeon [es] asked 150 Spanish film experts to vote for the best films in 1999. Seven Samurai (1954) was voted the greatest foreign-language (non-English) film in BBC's 2018 poll of 209 critics in 43 countries. Vertigo (1958) was ranked number 1 with 39 votes when German film magazine Steadycam [de] asked 174 critics and filmmakers to vote for their favorite films in 2007. It was also ranked number 1 with 25 votes when Iranian film magazine Film asked 92 Iranian critics to vote for the best films in 2009. ​8 1⁄2 (1963) was voted the best foreign (i.e. non-Swedish) sound film with 21 votes in a 1964 poll of 50 Swedish film professionals organized by Swedish film magazine Chaplin [sv]. It was also ranked number 1 when the Museum of Cinematography in Łódź [pl] asked 279 Polish film professionals (filmmakers, critics, and professors) to vote for the best films in 2015. The Godfather (1972) was ranked number 1 when Japanese film magazine Kinema Junpo asked 114 Japanese critics and film professionals to vote for the best foreign (i.e. non-Japanese) films in 2009. It was also voted the greatest film in a Hollywood Reporter poll of 2120 industry members, including every studio, agency, publicity firm and production house in Hollywood in 2014. Apocalypse Now (1979) was voted number 1 by a group of 3,760 film critics and personalities on the Channel 4 program 50 Films to See Before You Die. The Godfather (1972) tops many audience and professionals polls. Gone with the Wind (1939) was voted the favorite film of Americans in a poll of 2,279 adults undertaken by Harris Interactive in 2008, and again in a follow-up poll of 2,276 adults in 2014. Roman Holiday (1953) was voted the best foreign (i.e. non-Japanese) film of all time in a 1990 poll of about a million people organized by Japanese public broadcaster NHK. The Godfather (1972) was voted number 1 by Entertainment Weekly's readers in 1999 and voted as number 1 in a Time Out readers' poll in 1998. The film was voted the "Greatest Movie of All Time" in September 2008 by 10,000 readers of Empire magazine, 150 people from the movie business, and 50 film critics. It also topped Empire's June 2017 poll of 20,000 readers. The Empire Strikes Back (1980) was voted the best film of all time by over 250,000 readers of the Empire film magazine in 2015. The Shawshank Redemption (1994) was voted the greatest film of all time by Empire readers in "The 201 Greatest Movies of All Time" poll undertaken in March 2006. Shiri (1999) was voted the favorite film of Koreans with 11,918 votes in a 2002 online poll of 54,013 people conducted by Korean movie channel Orion Cinema Network. The Lord of the Rings trilogy (2001–2003) was voted the most popular film of all time by an audience poll for the Australian television special My Favourite Film in 2005 and by a poll cast by 120,000 German voters for the TV special Die besten Filme aller Zeiten ("The best films of all time") in 2004. Mad Max 2 (1981) was voted the greatest action film of all time in a readers' poll by American magazine Rolling Stone in 2015. Die Hard (1988) was voted the best action film of all time with 21 votes in a 2014 poll of 50 directors, actors, critics, and experts conducted by Time Out New York. Toy Story (1995) has topped critic and fan animation polls. What's Opera, Doc? (1957), a Bugs Bunny cartoon, was selected as the greatest animated short film of all time by 1,000 animation professionals in the book The 50 Greatest Cartoons. Hedgehog in the Fog (1975) was ranked number 1 in a poll at the 2003 Laputa Animation Festival where 140 animators from around the world voted for the best animated films of all time. Tale of Tales (1979) was ranked number 1 with 17 votes in a poll at the Olympiad of Animation in 1984 where an international panel of 35 journalists, scholars, festival directors, and animation programmers voted for the best animated films. It was also ranked number 1 in a poll organized by the Channel 4 animation magazine Dope Sheet in 1997, as well as a poll organized by the Zagreb International Animation Festival, which announced the results in 2002. Nausicaä of the Valley of the Wind (1984) was the highest-ranking film in a 2006 poll of the greatest animations conducted at the Japan Media Arts Festival, voted by 80,000 attendees. Laputa: Castle in the Sky (1986) was voted first place in a 2008 animation audience poll conducted by Oricon in Japan. Toy Story (1995) was voted number 1 on the "Top 100 Animated Features of All Time" list by the Online Film Critics Society (published March 2003). Voters chose from a reminder list of more than 350 films. It also topped a poll of 4000 film fans for "greatest animated film of all time" in 2009, when it was re-released in 3D. Die Hard (1988) was voted the greatest Christmas movie by British film magazine Empire readers in 2015. Some Like It Hot (1959) was critics' choice in BBC's poll for best comedy. 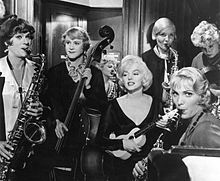 Some Like It Hot (1959) was voted the best comedy of all time in a poll of 253 film critics from 52 countries conducted by the BBC in 2017. Blazing Saddles (1974) was voted the funniest movie of all time in a 2014 readers' poll by Rolling Stone magazine. Monty Python's Life of Brian (1979) was voted the greatest comedy of all time in a poll of over 22,000 people conducted by the British TV network Channel 4 in 2006. It was also voted the greatest comedy film in polls conducted by British film magazine Total Film in 2000, and British newspaper The Guardian in 2007. This Is Spinal Tap (1984) was voted the best comedy movie of all time in a poll of over 70 stand-up comedians, actors, writers, and directors conducted by Time Out London in 2016. Superman (1978) was voted the greatest superhero movie in a poll of 1000 British adults conducted by Virgin Media in 2018. The Dark Knight (2008) was voted the greatest superhero movie in a reader's poll conducted by American magazine Rolling Stone in 2014. The Poseidon Adventure (1972) was voted best disaster movie in a poll of 500 members of the UCI Cinemas staff in May 2004. 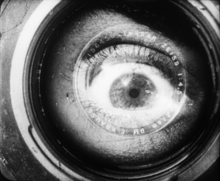 Man with a Movie Camera (1929) topped 2014 Sight & Sound poll of experts. Man with a Movie Camera (1929) was voted the greatest documentary of all time with 125 votes (100 critics and 25 filmmakers) in a 2014 Sight & Sound poll of 238 critics, curators, and academics (including many documentary specialists) and 103 filmmakers. Hoop Dreams (1994) was ranked as the greatest documentary of all time by the International Documentary Association (IDA) in 2007. Voters selected from a list of over 700 films. Bowling for Columbine (2002) heads the list of 20 all-time favorite non-fiction films selected by members of the IDA in 2002. The Exorcist (1973) was voted the best horror film of all time with 53 votes in a 2012 poll of 150 experts conducted by Time Out London. It was also voted the best horror film with 67 votes in a 2015 poll of 104 horror professionals conducted by HitFix, and topped a readers' poll by Rolling Stone magazine in 2014. The Texas Chain Saw Massacre (1974) was ranked number 1 on British film magazine Total Film's 2005 list of the greatest horror films. In 2010 it was voted into first place in an additional Total Film poll of leading directors and stars of horror films. West Side Story (1961) was chosen as the best screen musical by readers of British newspaper The Observer in a 2007 poll. The Rocky Horror Picture Show (1975) was voted the best movie musical by readers of Rolling Stone in a 2017 poll. Casablanca (1942) was voted the best romance film of all time with 56 votes in a 1996 poll of 100 experts organized by Spanish film magazine Nickel Odeon [es]. Brief Encounter (1945) was voted the best romance film of all time with 25 votes in a 2013 poll of 101 experts conducted by Time Out London. 2001: A Space Odyssey (1968) was ranked as the best science fiction film in several polls. 2001: A Space Odyssey (1968) was voted the best science fiction film of all time with 73 votes in a 2014 poll of 136 science fiction experts, filmmakers, science fiction writers, film critics, and scientists conducted by Time Out London. It was voted the best science fiction film of all time by 115 members of the Online Film Critics Society in 2002. It topped a readers' poll conducted by Rolling Stone magazine in 2014. It is also the only science fiction film to make the Sight & Sound critics' poll for the ten best movies (number 10 in 1992, number 6 in 2002 and 2012). Blade Runner (1982) was voted the best science fiction film by a panel of 56 scientists assembled by the British newspaper The Guardian in 2004. In British magazine New Scientist, Blade Runner was voted "all-time favourite science fiction film" in the readers' poll in 2008, with 12 percent of thousands of votes. It topped a 2011 poll by Total Film magazine. Serenity (2005) was voted the best science fiction movie in a poll of 3,000 people conducted by SFX magazine. Battleship Potemkin (1925) was voted the best silent film with 32 votes in a 1964 poll of 50 Swedish film professionals organized by Swedish film magazine Chaplin [sv]. Rocky (1976) topped British website Digital Spy's "greatest ever sports movie" online poll in 2012, with 18.7% of the votes. Voters chose from a list of 25 films. Saving Private Ryan (1998) was voted as the greatest war film in a 2008 Channel 4 poll of the 100 greatest war films. Stagecoach (1939) was voted the best western film of all time with 54 votes in a 1996 poll of 100 experts organized by Spanish film magazine Nickel Odeon [es]. Johnny Guitar (1954) was the most cited film in the "Ten Best Westerns" lists of 27 French critics in Le Western. Crónica de un niño solo (1965) was voted the best Argentine film of all time in a 2000 poll of critics and film historians organized by the Museo del Cine Pablo Ducros Hicken. Picnic at Hanging Rock (1975) was voted the best Australian film of all time by members of the Australian Film Institute, industry guilds and unions, film critics and reviewers, academics and media teachers, and Kookaburra Card members of the National Film and Sound Archive (NFSA), in a 1996 poll organized by the Victorian Centenary of Cinema Committee and the NFSA. The Castle (1997) was selected by the public as Australia's favourite film in a 2008 online poll conducted by the Australian Film Institute, in collaboration with Australia Post. Titash Ekti Nadir Naam (1973) topped the list of 10 best Bangladeshi films in the audience and critics' polls conducted by the British Film Institute in 2002. Do You Remember Dolly Bell? (1981) was voted the best Bosnian film of all time in a 2003 poll of 13 film professionals organized by The National Film Archive of Bosnia and Herzegovina. Limite (1931) is ranked number 1 on the Brazilian Film Critics Association's list of the top 100 Brazilian films, voted by its 100 members in 2015. Black God, White Devil (1964) was voted the best Brazilian film of all time in a 2001 poll of 108 critics and film professionals organized by Brazilian film magazine Contracampo. The Red Light Bandit (1968) was voted the best Brazilian film of all time in a 2011 poll of 102 critics, researchers, and professionals organized by Brazilian film magazine Filme Cultura. Mon oncle Antoine (1971) was named first in the Toronto International Film Festival's Top 10 Canadian Films of All Time in 1984, 1993 and 2004. The Sweet Hereafter (1997) was voted the best Canadian film by readers of Playback in 2002 in an online poll. More than 500 industry respondents participated in the poll. Atanarjuat: The Fast Runner (2001) was voted the best Canadian film of all time with 94 votes in a 2015 poll of 220 filmmakers, critics, programmers, and academics organized by the Toronto International Film Festival, dethroning Mon oncle Antoine which won the previous three polls. Jackal of Nahueltoro (1975) was voted the best Chilean film of all time with 57 votes in a 2016 poll of 77 directors, actors, programmers, scholars, journalists, and critics organized by CineChile. Julio comienza en julio (1979) was chosen in 1999 as the "Best Chilean Film of the Century" in a vote organized by the Municipality of Santiago. Spring in a Small Town (小城之春; 1948) was ranked number 1 on the Hong Kong Film Awards Association's Best 100 Chinese Motion Pictures list in 2005. It was also voted the best Chinese film of all time with 25 votes in a 2010 poll of 37 critics organized by the Hong Kong Film Critics Society. Farewell My Concubine (霸王别姬; 1993) was voted the best Mainland Chinese film of all time by 88 international film experts in a poll conducted by Time Out Shanghai and Time Out Beijing. The Strategy of the Snail (1993) was voted the best Colombian film of all time with 38 votes in a 2015 poll of 65 critics and journalists organized by Colombian magazine Semana. Tko pjeva zlo ne misli (One Who Sings Means No Harm, 1970) was voted the best Croatian film of all time by 44 Croatian film critics in 1999, in a poll organized by the Croatian magazine Hollywood. It was also voted the best Croatian film by Hollywood's readers. Memories of Underdevelopment (1968) was voted the best Latin American film of all time with 30 votes in a 1999 poll of 36 critics and film specialists from 11 countries organized by critics Carlos Galiano and Rufo Caballero. It was also voted the best Ibero-American film of all time in a 2009 poll of more than 500 film professionals, critics, journalists, festival organizers, and fans around the world organized by Spanish magazine Noticine. See also Czech Republic and Slovakia, below. Marketa Lazarova (1967) was voted the best Czech-Slovak film of all-time in a 1998 poll of 55 Czech and Slovak film critics and publicists, receiving 41 votes. The Firemen's Ball (1967) was voted the best Czech-Slovak film of all time with 33 votes in a 2007 poll of 53 experts (mostly from the Czech Republic, but also from Slovakia and Poland) titled "Filmové dědictví česko-slovenské kinematografie". The Elementary School (1991) was voted the best Czech-Slovak film with 192 votes in a 2007 public poll of "Filmové dědictví česko-slovenské kinematografie". Christian (1939) was voted best Czech film of all time in a poll held by Media Desk and Týden magazine in 2010. Marketa Lazarova (1967) was voted the best Czech film of all time by Czech journalists during the Karlovy Vary International Film Festival in 1994. It also topped 1998 poll of Czech and Slovak film critics and publicists during the 1998 Karlovy Vary International Film Festival. The Firemen's Ball (1967) was voted the best Czech film in a 2018 poll of 20 Czech historians, theorists and critics. The Cremator (1969) was voted the best Czech film by public in a 2018 poll Kánon 100. Cosy Dens (1999) was voted the best Czech film with 622 votes in a readers' poll by Reflex magazine in 2011. The Night of Counting the Years (1969) was voted the best Arab film of all time (i.e. the best film made in an Arab country) in a 2013 poll of 475 film critics, writers, novelists, academics, and other arts professionals organized by the Dubai International Film Festival. Kevade (Spring, 1969) received first place in the Estonian feature films Top Ten Poll in 2002 held by Estonian film critics and journalists. Autumn Ball (2007) was voted the best Estonian film of all time with 29 votes in a 2011 poll of 33 film writers and film scholars organized by the Estonian Association of Film Journalists. The Unknown Soldier (1955) was voted the best Finnish movie by 1213 respondents in an Internet poll by Helsingin Sanomat in 2007. Komisario Palmun erehdys (1960) was chosen as the best Finnish fictional movie of all time in a poll of 48 critics by Yle in 2012. The Rules of the Game (1939) was voted the best French film of all time with 15 votes in a 2012 poll of 85 film professionals conducted by Time Out Paris. It was voted the best European film of all time with 56 votes (tied with the German film Nosferatu) in a 1994 poll of 70 critics and film historians organized by Cinemateca Portuguesa. It is also the only film that ranked in the top 10 of every Sight & Sound critics' poll. Eliso (1928) was voted the best Georgian film of all time in a critic poll organized by Tbilisi Intermedia. Nosferatu (1922) was voted the best European film of all time with 56 votes (tied with the French film The Rules of the Game) in a 1994 poll of 70 critics and film historians organized by Cinemateca Portuguesa. M (1931) was voted the best German film of all time with 306 votes in a 1994 poll of 324 film journalists, film critics, filmmakers, and cineastes organized by the Association of German Cinémathèques [de]. O Drakos (1956) was voted the best Greek film of all time by members of the Greek Film Critics Association in 2006. Evdokia (1971) was voted the best Greek film of all time by members of the Greek Film Critics Association in 1986. A Better Tomorrow (英雄本色; 1986), filmed and produced in Hong Kong, was voted the second best Chinese film ever made by the Hong Kong Film Awards Association in 2005. Days of Being Wild (阿飛正傳; 1990) was voted the best Hong Kong film of all time with 16 votes in a 2010 poll of 37 critics organized by the Hong Kong Film Critics Society. In the Mood for Love (花樣年華; 2000) reached the highest position (number 24 in 2012) of any Hong Kongese film on the 2012 Sight & Sound poll. 's lists of greatest films of all time. The Round-Up (1965) was chosen as the best Hungarian film in a 2000 Hungarian film critics' poll. Children of Nature (1991) was voted the best Icelandic film of all time in a Stockfish poll of 12 film experts. 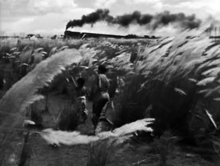 Pather Panchali (1955) was the highest-ranking Indian film on several international polls. Pather Panchali (1955) is the highest-ranking Indian film on any Sight & Sound poll at number 6 in the 1992 Critics' Poll. It also topped the British Film Institute's user poll of "Top 10 Indian Films" of all time in 2002. Mayabazar (1957) was chosen as the greatest Indian film of all time with 16,960 votes in an online poll conducted by IBN Live in 2013. Voters select from a list of 100 films from different Indian languages, and 70,926 votes were cast. Sholay (1975) topped the British Film Institute's critics' poll of "Top 10 Indian Films" of all time in 2002. The Deers (1974) was voted the best Iranian film of all time with 33 votes in a 2009 poll of 92 critics organized by Iranian film magazine Film. Bashu, the Little Stranger (1986) was voted "Best Iranian Film of all time" in November 1999 by a Persian movie magazine Picture World poll of 150 Iranian critics and professionals. The Commitments (1991) was voted the best Irish film of all time in a 2005 Jameson Whiskey online poll of over 10,000 Irish people. Giv'at Halfon Eina Ona (1976) was voted "Favorite Israeli Film of All Time" in a 2004 poll by Ynet, the platform of the Israeli newspaper Yediot Ahronot. The film received votes from 25,000 web users. Avanti Popolo (1986) was voted "Greatest Israeli Film of All Time" in a 2013 poll of 20 Israeli film experts by NRG Ma'ariv. ​8 1⁄2 (1963) was the highest-ranked Italian film in many international professional polls. Bicycle Thieves (1948) topped the first Sight & Sound critics' poll in 1952. 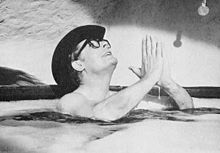 8½ (1963) was voted the best foreign (i.e. non-Swedish) sound film with 21 votes in a 1964 poll of 50 Swedish film professionals organized by Swedish film magazine Chaplin [sv]. It was also ranked number 1 when the Museum of Cinematography in Łódź [pl] asked 279 Polish film professionals (filmmakers, critics, and professors) to vote for the best films in 2015. It also ranked in the top 10, and was the highest ranked Italian film, in the Sight & Sound critics' poll in 1972, 1982, 2002, and 2012, and the directors' poll in 1992, 2002, and 2012. Tokyo Story (1953) topped several international polls, including the 2012 Sight & Sound directors' poll. 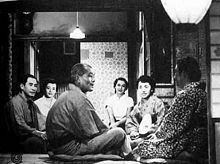 Tokyo Story (東京物語; 1953) topped the Sight & Sound directors' poll with 48 votes and was number 3 in the critics' poll with 107 votes in 2012. It was also voted the best Japanese film of all time in a 2009 poll of 114 critics and film professionals organized by Japanese film magazine Kinema Junpo. It was voted the best Asian film of all time in a 2015 poll of 73 film critics, festival executives, programmers, and directors from around the world, organized by the Busan International Film Festival. Seven Samurai (1954) was voted the best Japanese film of all time in a 1989 poll of 372 celebrities for a book published by Bungeishunjū. It was voted the best Japanese film of all time in a 1990 poll of about a million people organized by NHK. It was also number 3 with 15 votes, the highest ranked Japanese film, in the 1982 Sight & Sound critics' poll. It was also ranked joint tenth on the Sight & Sound directors' poll in 1992, and joint ninth in 2002. It was the greatest foreign-language film in BBC Culture's 2018 poll of 209 critics in 43 countries. Rashomon (1950) was ranked joint tenth in the 1992 Sight & Sound directors' poll, and joint ninth in 2002. Vámonos con Pancho Villa (1935) was ranked number 1 Mexican film of all time in a 1994 poll of 25 critics and journalists organized by Mexican magazine Somos. Turkish Delight (1973) was voted the best Dutch film of all time in a 1999 poll. Zwartboek (Black Book, 2006) was voted the best Dutch film of all time at the 2008 Netherlands Film Festival by nearly 15,000 members of the public. Once Were Warriors (1994) was voted the best New Zealand film of all time in a 2014 online poll organized by Fairfax Media. More than 500 people voted, including about 100 film professionals and 15 critics. 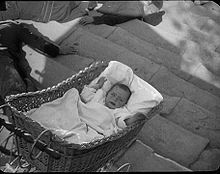 Ni Liv (Nine Lives, 1957) was the critics' choice for "Best Norwegian Film of All Time" during the 2005 Bergen International Film Festival. The Chasers (1959) was voted the best Norwegian film of all time with 23 votes in a 2011 poll of 32 critics and experts organized by Norwegian film magazine Rushprint [no]. Flåklypa Grand Prix (Pinchcliffe Grand Prix, 1975) was the people's choice for "Best Norwegian Film of All Time" during the 2005 Bergen International Film Festival. Baji (1963) topped the British Film Institute's critics' poll of "Top 10 Pakistani Films" of all time in 2002. Aina (1977) topped the British Film Institute's user poll of "Top 10 Pakistani Films" of all time in 2002. Manila in the Claws of Light (1975) was voted the best Filipino film of all time with 16 votes (tied with Ganito Kami Noon, Paano Kayo Ngayon) in a 1989 poll of 28 filmmakers and critics, organized by Joel David and his UP film criticism class, and published in Philippine magazine National Midweek. The article also included a list of the most common number-one choices (topped by Manila in the Claws of Light), as well as an alternate version of the top 10 (topped by Manila by Night) which was ordered by average rank. Himala (Miracle, 1982) won the 2008 CNN Asia Pacific Screen Awards Viewers Choice as "Best Asia-Pacific Film of All Time" (voted for by thousands of film fans around the world). The Promised Land (1975) was voted the best Polish film of all time in a 2015 poll of 279 Polish film professionals organized by the Museum of Cinematography in Łódź [pl]. Teddy Bear (1980) was voted by the public of 2013 Filmfest PL as the best movie of all time. Reconstituirea (The Reenactment, 1968) was selected as the best Romanian film by 40 film critics in 2008. My Friend Ivan Lapshin (1985) was voted the best Russian film of all time with 47 votes in a 2008 poll of 100 filmmakers and critics, organized by Russian film magazine Seance [ru]. See also Soviet Union, below. Who Sings Over There (1980) was voted by Serbian critics the best Serbian film of all time. Pictures of the Old World (1972) was voted the best Slovak film of all time by Slovak critics in 2000. Dancing in the Rain (1961) was voted the best Slovenian film of all time in a poll by Slovenian critics. Obaltan (1961) was voted the best Korean film of all time with 48 votes in a 1999 poll of 140 filmmakers organized by Korean newspaper The Chosun Ilbo. It was also voted the best Korean film of all time (tied with The Housemaid and The March of Fools [ko]) in a 2014 poll of 62 film scholars, critics, film professionals, researchers, and programmers organized by the Korean Film Archive. Memories of Murder (2003) was voted the best Korean film of all time with 806 votes in a 2014 audience poll of 1462 people organized by the Korean Film Archive. Battleship Potemkin (1925) was an early favorite and the top silent film. Battleship Potemkin (1925) was ranked number 1 with 32 votes when the Festival Mondial du Film et des Beaux-Arts de Belgique asked 63 film professionals around the world, mostly directors, to vote for the best films of the half-century in 1951. It was ranked number 1 when the Brussels World's Fair polled 117 experts from 26 countries in 1958. It also ranked in the top 10, and was the highest ranked Soviet/Russian film in every Sight & Sound critics' poll between 1952 and 2002. Man with a Movie Camera (1929) was voted the eighth greatest film ever made in the British Film Institute's 2012 Sight & Sound poll. The Mirror (1975) ranked 9th in the 2012 Sight & Sound directors' poll. Viridiana (1961) was voted the best Spanish film of all time with 227 votes in a 2016 poll of 350 experts organized by Spanish film magazine Caimán Cuadernos de Cine. El verdugo (1963) was voted the best Spanish film of all time with 77 votes in a 1995 poll of 100 critics and film professionals organized by Spanish film magazine Nickel Odeon [es]. Ananta Rathiriya (1995) topped the British Film Institute's user poll of "Top 10 Sri Lankan Films" of all time in 2002. Pura Handa Kaluwara (1997) topped the British Film Institute's critics' poll of "Top 10 Sri Lankan Films" of all time in 2002. The Phantom Carriage (1921) was voted best Swedish film by critics and academics in FLM's poll. The Phantom Carriage (Körkarlen, 1921) was voted the best Swedish film of all time with 30 votes in a poll of 50 film critics and academics conducted by film magazine FLM in 2012. Persona (1966) reached the highest position (number 5 in 1972) of any Swedish film on any of Sight & Sound's lists of greatest films of all time. A City of Sadness (悲情城市; 1989) was voted the best Chinese-language film of all time with 73 votes in a 2010 poll of 122 film professionals organized by the Taipei Golden Horse Film Festival. It was also number 5, the highest ranked Taiwanese film, on the Hong Kong Film Awards' list of the Best 100 Chinese Motion Pictures, voted by 101 filmmakers, critics, and scholars. Yol (1982) was voted the best Turkish film of all time in a 2016 poll of 383 experts organized by Turkish magazine Notos. It was also selected as the best Turkish film in a 2003 poll undertaken by Ankara Sinema Derneği (Ankara Association for Cinema Culture) of people interested in cinema professionally. Shadows of Forgotten Ancestors (1965) was voted the best Ukrainian film of all time with 30 votes in a 2012 poll of about 100 journalists organized by the Cinema Journalism Bureau of Ukraine and the National Union of Cinematographers of Ukraine. 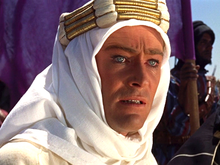 Lawrence of Arabia (1962) was voted the "best British film of all time" by Britain's leading filmmakers. The Third Man (1949) was voted the best British film ever by 1000 industry professionals, academics, and critics in a British Film Institute poll conducted in 1999. Lawrence of Arabia (1962) was voted the "best British film of all time" in August 2004 by over 200 respondents in a Sunday Telegraph poll of Britain's leading filmmakers. Get Carter (1971) was voted the best British film ever in a 2003 poll by Hotdog magazine. It also topped the 2004 poll of 25 film critics conducted by Total Film. Don't Look Now (1973) was named the best British film in a poll of 150 film industry experts conducted by Time Out London in 2011. Monty Python and the Holy Grail (1975) was voted the best British picture of all time by 7000 film fans in a 2004 poll by the UK arm of Amazon and Internet Movie Database. The Italian Job (1969) was voted the best British film in a poll of film fans conducted by Sky Movies HD in 2011 when it received 15% of votes. It also topped a 2017 survey by Vue Entertainment. 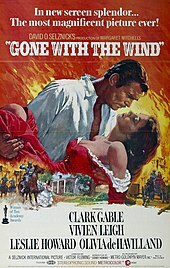 Gone with the Wind (1939) was voted the favorite film of Americans in a poll of 2,279 adults undertaken by Harris Interactive in 2008, and again in a follow-up poll of 2,276 adults in 2014. It was also voted the best American film of all time by 35,000 members of the American Film Institute in 1977. It was picked in 2011 as the best film for Best in Film: The Greatest Movies of Our Time, an online poll in which over 500,000 votes were cast. Voters chose from a list of 10 English-language films selected by film industry experts. Citizen Kane (1941) was selected as the greatest American film in 2015 by sixty-two international film critics surveyed by the BBC. It was also ranked top in every Sight & Sound critics' poll between 1962 and 2002, and the directors' poll in 1992 and 2002. The American Film Institute polled 1,500 film community leaders for the lists 100 Years...100 Movies and 100 Years...100 Movies (10th Anniversary Edition) in 1998 and 2007 respectively, asking voters to choose from a list of 400 nominations. 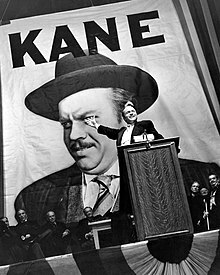 Both polls identified Citizen Kane as the best American film ever. It was voted the best American film of all time with 156 votes in a 1977 poll of 203 experts from 22 countries (116 Americans and 87 non-Americans). The poll was organized by the Royal Belgian Film Archive and titled "The most important and misappreciated American films", and they were looking for subjective choices. Casablanca (1942) was voted the greatest American film by readers of the Los Angeles Daily News in 1997. Vertigo (1958) topped the Sight & Sound critics' poll in 2012 with 191 votes. The Godfather (1972) was selected as the greatest film by 2,120 industry professionals in a Hollywood survey undertaken by The Hollywood Reporter in 2014. Whisky (2004) was voted the best Uruguayan film of all time by 22 members of the Uruguayan Film Critics Association in 2015. El Pez que Fuma (1977) was voted the best Venezuelan film of all time with 22 votes in a 1987 poll of 29 experts organized by Imagen magazine. It was also voted the best Venezuelan film of all time with 33 votes in a 2016 poll of 41 experts organized by the Fundación Cinemateca Nacional. "1952 Critics' poll". British Film Institute. Retrieved 27 November 2016. "As the Critics Like It". Sight & Sound. Vol. 22 no. 2. British Film Institute. October – December 1952. p. 58. "1962 Critics' poll". British Film Institute. Retrieved 27 November 2016. "Top Ten". Sight & Sound. Vol. 31 no. 1. British Film Institute. Winter 1961–1962. p. 10. "1972 Critics' poll". British Film Institute. Retrieved 27 November 2016. "Top Ten 72". Sight & Sound. Vol. 41 no. 1. British Film Institute. Winter 1971–1972. pp. 12–13. "1982 Critics' poll". British Film Institute. Retrieved 27 November 2016. "Top Ten 1982". Sight & Sound. Vol. 51 no. 4. British Film Institute. Autumn 1982. p. 243. "1992 Directors' and Critics' poll". British Film Institute. Retrieved 27 November 2016. "Top Ten: 250 Verdicts". Sight & Sound. Vol. 2 no. 8. British Film Institute. December 1992. pp. 18–30. "2002 poll introduction". British Film Institute. Retrieved 27 November 2016. "2002 Critics' poll". British Film Institute. Retrieved 27 November 2016. "2002 Directors' poll". British Film Institute. Retrieved 27 November 2016. "2012 Critics' poll". British Film Institute. Retrieved 27 November 2016. "2012 Directors' poll". British Film Institute. Retrieved 27 November 2016. ^ Ebert, Roger (11 August 2002). "'Citizen Kane' fave film of movie elite". RogerEbert.com. Retrieved 17 April 2019. ^ a b Referendum International. Festival Mondial du Film et des Beaux-Arts de Belgique. 1951. p. 3. ^ a b "Film History Milestones - 1958". Filmsite.org. Retrieved 17 April 2019. ^ "100 Films". Cahiers du cinéma. Archived from the original on 30 July 2015. "10x10: Introduction". Cinephilia.net. Archived from the original on 6 April 2016. "10x10: 10 Greatest Films". Cinephilia.net. Archived from the original on 7 April 2016. ^ "Escrito De Orson Welles Cuando Citizen Kane, Fue Elegida Una De Las 12 Mejores Películas De La Historia Del Cine". Nickel Odeon. No. 16. Fall 1999. Archived from the original on 10 August 2014. ^ a b "The 100 greatest foreign-language films". BBC Culture. 29 October 2018. Retrieved 1 November 2018. ^ "30 Lieblingsfilme". Steadycam. No. 50. 2007. ^ Emerson, Jim (6 July 2007). "The Favoritest Movies (or Everybody Loves Lieblingsfilme)". RogerEbert.com. Retrieved 14 January 2017. ^ a b "بهترین فیلم‌های زندگی ما". Film Magazine. Retrieved 14 January 2017. ^ a b c "De bästa filmerna". Chaplin. Swedish Film Institute. November 1964. pp. 333–334. "Wyniki ankiety: 12 filmów na 120-lecie kina". Muzeum Kinematografii w Łodzi. Retrieved 14 January 2017. "ŚWIAT – NAJLEPSZE FILMY według wszystkich ankietowanych". Muzeum Kinematografii w Łodzi. Retrieved 14 January 2017. "POLSKA – NAJLEPSZE FILMY według wszystkich ankietowanych". Muzeum Kinematografii w Łodzi. Retrieved 18 January 2017. ^ a b "「オールタイム・ベスト　映画遺産200」全ランキング公開". Kinema Junpo. Archived from the original on 1 May 2010. ^ a b "Hollywood's 100 Favorite Films". The Hollywood Reporter. 25 June 2014. Retrieved 3 July 2014. ^ "Film buffs reveal 'must see' list". BBC News. 23 July 2006. Retrieved 7 November 2017. ^ a b Corso, Regina A. (21 February 2008). "Frankly My Dear, The Force is With Them as Gone With the Wind and Star Wars are the Top Two All Time Favorite Movies" (PDF). Harris Interactive. Archived from the original (PDF) on 14 June 2013. Retrieved 13 July 2014. ^ a b Shannon-Missal, Larry (17 December 2014). "Gone but Not Forgotten: Gone with the Wind is Still America's Favorite Movie". Harris Interactive. Archived from the original on 28 December 2014. Retrieved 13 February 2015. ^ a b "国内外の名画がずらり！『衛星映画劇場』（前編）". NHK. 31 May 2013. Retrieved 23 January 2017. ^ "posting about Entertainment Weekly's book". Filmsite.org. Retrieved 4 August 2011. ^ "posting about Time out reader's poll". Filmsite.org. Retrieved 4 August 2011. ^ "The 500 Greatest Movies of All Time". Empire. 3 October 2008. Retrieved 4 August 2011. ^ "The 100 Greatest Movies". Empire. Retrieved 7 June 2018. 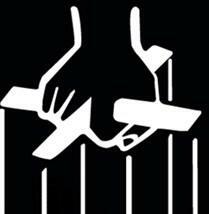 ^ "The Godfather tops Empire Magazine's best film poll - Sunday Post". Sunday Post. Retrieved 7 June 2018. ^ "250,000 movie fans voted The Empire Strikes Back the greatest film of all time". Business Insider. 2 June 2014. Retrieved 10 November 2017. ^ "Shawshank is 'best ever film'". London Evening Standard. 27 January 2006. Retrieved 7 November 2017. ""한국인의 100대 영화" 결과 발표". OCN. Archived from the original on 11 July 2002. "100대 영화 결과 보기". OCN. Archived from the original on 3 August 2002. ^ "My Favourite Film – Top 100". Archived from the original on 23 April 2011. ^ "Er ist der Beste: "Herr der Ringe"-Trilogie vor Star Wars und Forrest Gump zum "besten Film aller Zeiten" gewählt: Kabel 1 präsentierte Top 20-Spielfilme und internationale Stars" [It is the best: 'Lord of the Rings', trilogy of Star Wars and Forrest Gump voted 'the best film of all time': Kabel 1 presented top 20 feature films and international stars]. presseportal.de (in German). Retrieved 4 August 2011. ^ "Readers' Poll: The 10 Best Action Movies of All Time". Rolling Stone. Retrieved 30 November 2016. "The 100 best action movies ever made". Time Out New York. Archived from the original on 6 November 2014. Retrieved 16 January 2017. "The 100 best action movies: who voted?". Time Out New York. Archived from the original on 7 November 2014. Retrieved 16 January 2017. ^ "The 100 best animated movies ever made". Time Out New York. Retrieved 24 June 2018. ^ "The 100 best animated movies: who voted?". Time Out New York. Retrieved 24 June 2018. ^ Beck, Jerry (1994). The 50 Greatest Cartoons, as selected by 1,000 animation professionals. Turner Publishing. ^ Deneroff, Harvey. "The Olympiad of Animation: An Interview With Fini Littlejohn". Animation World Network. Retrieved 16 January 2017. ^ a b Kitson, Clare (2005). Yuri Norstein and Tale of Tales: An Animator's Journey. John Libbey Publishing. pp. 2–3. ^ 文化庁メディア芸術祭10周年企画アンケート日本のメディア芸術100選 結果発表 (in Japanese). Japan Media Arts Plaza. Archived from the original on 13 September 2008. Retrieved 12 December 2012. ^ "OFCS Top 100 Animated Features". ofcs.org. Online Film Critics Society. Retrieved 30 November 2016. ^ "Toy Story voted greatest ever animated film". Telegraph.co.uk. Retrieved 17 July 2017. ^ "The 30 Best Christmas Movies Ever". Empire. Retrieved 8 August 2016. ^ "The 100 greatest comedies of all time". BBC Culture. 22 August 2017. Retrieved 8 September 2017. ^ "Readers' Poll: The 25 Funniest Movies of All Time". Rolling Stone. Retrieved 7 June 2018. ^ "Life of Brian named best comedy". BBC News. 1 January 2006. Retrieved 2 May 2010. ^ French, Philip (22 July 2007). "The last laugh: your favourite 50". The Guardian. London. Retrieved 2 May 2010. ^ "The 100 best comedy movies". Time Out London. Retrieved 7 June 2018. ^ "The 100 best comedy movies: who voted?". Time Out London. Retrieved 7 June 2018. ^ "Superman tops poll of greatest superhero films of all time". The Independent. Retrieved 7 June 2018. ^ "Readers' Poll: The 15 Greatest Superhero Movies". Rolling Stone. Retrieved 13 June 2014. ^ "Poseidon Adventure tops film poll". BBC News. 17 May 2004. Retrieved 4 August 2011. "Critics' 50 Greatest Documentaries of All Time". BFI. Retrieved 27 February 2015. "The Greatest Documentaries of All Time – all the votes". BFI. Retrieved 17 January 2017. "The Sight & Sound Documentary Poll: acknowledgements". BFI. Retrieved 17 January 2017. ^ "IDA's Top 25 Documentaries". International Documentary Association. Retrieved 28 November 2016. ^ ""Bowling for Columbine" Named Best Documentary Film". About.com. 12 December 2002. Retrieved 18 September 2009. ^ * "The 100 best horror films: the full list". Time Out London. Archived from the original on 20 January 2013. "The 100 best horror films: contributors". Time Out London. Archived from the original on 18 January 2013. ^ "The 100 Greatest Horror Films of All Time, Voted on by Over 100 Experts". UPROXX. 21 October 2015. Retrieved 8 June 2018. ^ "Post-Mortem: Breaking down our Ultimate Horror Movie Poll". UPROXX. 23 October 2015. Retrieved 8 June 2018. ^ "The 10 Best Horror Movies of All Time". Rolling Stone. Retrieved 8 June 2018. ^ "Texas Massacre tops horror poll". BBC News. 9 October 2005. Retrieved 22 November 2009. ^ "Texas Chain Saw Massacre voted greatest ever horror film". The Telegraph. 30 September 2010. Retrieved 11 August 2018. ^ "West Side Story Tops Best Movie Musical". Starpulse.com. 19 February 2007. Archived from the original on 22 February 2007. Retrieved 4 August 2011. ^ "Readers' Poll: 5 Best Movie Musicals". Rolling Stone. 25 January 2017. Retrieved 8 September 2017. ^ "Cien Españoles y el Cine Romántico". Nickel Odeon. No. 2. Spring 1996. "The 100 best romantic movies". Time Out London. Archived from the original on 25 April 2013. "The 100 best romantic movies: contributors". Time Out London. Archived from the original on 26 April 2013. "The 100 best sci-fi movies". Time Out London. Archived from the original on 21 July 2014. "The 100 best sci-fi movies: who voted?". Time Out London. Archived from the original on 29 July 2014. ^ "OFCS Top 100: Top 100 Sci-Fi Films". Online Film Critics Society. Archived from the original on 22 July 2011. ^ "Readers' Poll: The 10 Best Science Fiction Movies". Rolling Stone. Retrieved 8 June 2018. Alok Jha, science correspondent (26 August 2004). "Scientists vote Blade Runner best sci-fi film of all time". Guardian. Retrieved 4 August 2011. "How we did it". The Guardian. Retrieved 17 January 2017. ^ George, Alison (12 November 2008). "Sci-fi special: Your all-time favourite science fiction". New Scientist. Reed Business Information (2682). ^ "'Blade Runner' tops sci-fi film poll". 6 July 2011. Retrieved 8 June 2018. ^ "Serenity named top sci-fi movie". 2 April 2007. Retrieved 8 June 2018. "'Rocky' voted greatest ever sports movie by Digital Spy readers". Digital Spy. 27 July 2012. Retrieved 26 August 2012. "Olympics special: Vote for the greatest ever sports movie – poll". Digital Spy. Archived from the original on 25 July 2012. ^ "100 Greatest War Films". Channel 4. Archived from the original on 18 March 2009. ^ "Cien Españoles y el "Western"". Nickel Odeon. No. 4. Fall 1996. ^ Cawelti, John (1999). The Six-Gun Mystique Sequel. Popular Press. p. 202. ^ "5 películas de Favio que podés ver gratis". inmendoza.com. Retrieved 16 May 2018. ^ Berryman, Ken (February 1996). "100 Key Australian Films". Cinema Papers. No. 108. p. 23. ^ "Australia's Favourite Film". Australian Film Institute. Archived from the original on 7 March 2011. Retrieved 15 July 2014. ^ "Top 10 Bangladeshi Films". British Film Institute. Archived from the original on 27 May 2007. Retrieved 8 June 2014. ^ ""50 godina BiH kinematografije – 10 najboljih filmova"". Culturenet.hr. Retrieved 18 January 2017. "Abraccine organiza ranking dos 100 melhores filmes brasileiros". Abraccine. 27 November 2015. Retrieved 18 January 2017. "Abraccine lança "100 melhores filmes brasileiros" no Festival de Gramado". Abraccine. 4 September 2016. Retrieved 18 January 2017. "Os filmes mais citados". Contracampo. Retrieved 18 January 2017. "Todas as 108 listas". Contracampo. Retrieved 18 January 2017. ^ "Os 10 filmes brasileiros do coração". Filme Cultura. Archived from the original on 27 December 2012. ^ "Os Filmos Mais Queridos Do Cinema Braseiro". Filme Cultura. No. 53. January 2011. p. 98. ^ "Top 10 Canadian Films of All Time". The Canadian Encyclopedia. Retrieved 17 March 2013. ^ "Egoyan tops Canada's all-time best movies list". Playback. 2 September 2002. Retrieved 2 August 2016. ^ "Canada's All Time Top Ten". Toronto International Film Festival. Archived from the original on 18 October 2015. Retrieved 29 March 2018. ^ Morales, Marcelo. "Las 50 mejores películas chilenas de todos los tiempos". CineChile. Retrieved 18 January 2017. ^ "Memoria Chilena – Presentación". Memoriachilena.cl. Retrieved 29 September 2013. ^ a b c "Welcome to the Hong Kong Film Awards" (in Chinese). 2004. Retrieved 4 April 2007. "「十大香港電影」及「十大華語電影」名單公佈". Hong Kong Film Critics Society. Retrieved 18 January 2017. "經典10+10" (PDF). Hong Kong Film Critics Society. Retrieved 18 January 2017. ^ "The 100 best Mainland Chinese Films: the full list". TimeOut Beijing. 4 April 2014. "Así votaron los críticos" (PDF). Semana. Retrieved 18 January 2017. "Las 50 grandes películas del cine colombiano". Semana. 6 March 2015. Retrieved 18 January 2017. ^ ""Tko pjeva, zlo ne misli" najbolji hrvatski film svih vremena!". Slobodna Dalmacija (in Croatian). 28 November 1999. Retrieved 8 February 2013. ^ Galiano, Carlos; Caballero, Rufo (1999). Cien años sin soledad : las mejores películas latinoamericanas de todos los tiempos. Letras Cubanos. ^ "La cubana "Memorias del subdesarrollo", mejor película iberoamericana de la Historia". Noticine. Retrieved 19 January 2017. ^ "Top 10 Cesko-Slovenskeho Hraneho Filmu". Mestska kina Uherske Hradiste (in Czech). 1998. Archived from the original on 2 October 1999. "Top 10 Cesko-Slovenskeho Hraneho Filmu". Tipy jednotlivych ucastniku ankety (in Czech). 1998. Archived from the original on 16 January 2000. ^ a b "Filmové dědictví 2007". Nostalghia.cz. Retrieved 18 January 2017. ^ "Poll: best Czech film of all time is 1939 "Kristián"". Radio.cz. Retrieved 5 October 2017. ^ Ceska Televize;. "Marketa Lazarová — Česká televize". Česká televize (in Czech). Retrieved 18 November 2017. ^ Novotny, Michal. "Festivalové ozvěny: 20. týden – filmserver.cz". filmserver.cz. Retrieved 6 March 2017. ^ "Slavný český film Marketa Lazarová prochází digitálním restaurováním". Rozhlas.cz (in Czech). Retrieved 6 March 2017. ^ "Markéta Lazarová". Česká televize. Retrieved 6 March 2017. ^ "Markéta Lazarová vyhrála anketu kritiků". iDNES.cz. 14 February 1999. Retrieved 21 August 2018. ^ "Století českého filmu. Vybíráme kanonická díla moderní české státnosti". Vltava (in Czech). 27 June 2018. Retrieved 18 September 2018. ^ "Spalovač mrtvol a Válka s mloky. V anketě Kánon 100 Češi vybrali nejzásadnější díla za sto let". iROZHLAS (in Czech). Retrieved 28 October 2018. ^ "Osvobozené divadlo, Ještěd, Válka s mloky. Posluchačské hlasování Kánon100 zná své vítěze". Vltava (in Czech). 28 October 2018. Retrieved 29 October 2018. ^ "10 nejlepších českých filmů podle čtenářů Reflexu. Nejraději máte Pelíšky!". Reflex.cz (in Czech). Retrieved 28 November 2016. ^ "Dubai International Film Festival Releases The 100 Greatest Arab Films". Dubai International Film Festival. Retrieved 18 January 2017. ^ Hamad, Marwa. "Dubai International Film Festival picks top 100 Arab films". Gulf News. Retrieved 18 January 2017. ^ "Tallinnfilm" (in Estonian). Tallinnfilm.ee. Archived from the original on 24 March 2008. Retrieved 4 August 2011. ^ Ruus, Jaan (6 December 2011). "Sajandi kümme parimat Eesti filmi". Eesti Express. Retrieved 18 January 2017. Jyrki Räikkä Kirjoittaja on kulttuuritoimittaja. (28 May 2007). "Tuntematon sotilas on lukijoiden mielestä yhä paras – HS.fi – Kulttuuri" (in Finnish). HS.fi. Archived from the original on 31 May 2007. Retrieved 4 August 2011. "Mikä on Suomen paras elokuva?". Helsingin Sanomat (in Finnish). 14 May 2007. Archived from the original on 21 June 2007. ^ "Kriitikot valitsivat kaikkien aikojen parhaan kotimaisen elokuvan". yle.fi (in Finnish). Yle. 12 November 2012. Archived from the original on 26 December 2016. Retrieved 26 December 2016. "Les 100 meilleurs films français". Time Out Paris. Retrieved 18 January 2017. "Le Jury". Time Out Paris. Retrieved 18 January 2017. ^ a b Costa, João Bénard da (1994). 100 dias 100 filmes. Cinemateca Portuguesa. ^ გველესიანი, სალომე (18 June 2012). "ყველა დროის საუკეთესო ქართული ფილმები". Tbilisi. Retrieved 18 January 2017. ^ "The 100 Most Important German Films" (PDF). Journal of Film Preservation (54): 41. April 1997. Archived from the original (PDF) on 5 June 2015. ^ a b "Τα top 10 της ΠΕΚΚ". Πανελλήνια Ένωση Κριτικών Κινηματογράφου. Retrieved 18 January 2017. ^ "Budapesti 12" (in Hungarian). Sulinet.hu. Retrieved 4 August 2011. ^ "The Best Film of Iceland's Cinematic History". Stockfish Film Festival. Retrieved 2 October 2018. ^ "User Poll: Indian Top 10". British Film Institute. 2002. Archived from the original on 30 May 2008. ^ "'Mayabazar' is India's greatest film ever: IBNLive poll". Ibnlive.in.com. Archived from the original on 4 February 2015. Retrieved 29 September 2013. ^ "Which should be the No. 1 film of this list?". Polldaddy. Retrieved 22 January 2017. ^ "Top 10 Indian Films". British Film Institute. 2002. Archived from the original on 15 May 2011. Retrieved 14 March 2009. ^ "And The Winner Is..." (PDF). TheCommitments.net (Press release). 14 July 2005. Archived from the original (PDF) on 19 December 2005. Retrieved 27 October 2016. ^ "העם בחר סרג'יו" [The people elected Sergio]. Ynet.co.il (in Hebrew). 20 June 1995. Retrieved 4 August 2011. ^ "פרויקט הסרטים הגדול: חמשת הגדולים" [Great films project: the Big Five]. NRG Ma'ariv (in Hebrew). 15 April 2013. Retrieved 27 October 2016. ^ "הסרט הדברות: פרויקט הסרטים הישראלים הגדול" [Movie dialogue: the great Israeli film project]. NRG Ma'ariv (in Hebrew). Retrieved 27 October 2016. ^ "Asian Cinema 100". Busan International Film Festival. Archived from the original on 31 October 2015. ^ "Las 100 mejores películas del cine mexicano". cinemexicano.mty.itesm.mx. Archived from the original on 8 February 2010. Retrieved 16 May 2018. ^ Barton-Fumo, Margaret (2016). Paul Verhoeven: Interviews. Univ. Press of Mississippi. ISBN 9781496810168. Retrieved 13 October 2017. ^ "Zwartboek beste film aller tijden". VPRO (in Dutch). Archived from the original on 29 September 2011. Retrieved 4 December 2016. ^ "Best Kiwi Films of All Time". Fairfax Media. Archived from the original on 29 January 2014. ^ a b "Norsk film i 100". 23 October 2005. Archived from the original on 18 February 2006. ""Jakten" er tidenes norske kinofilm". Rushprint. Retrieved 19 January 2017. "Juryens lister fra kåringen av "Jakten"". Rushprint. Retrieved 19 January 2017. ^ "Top 10 Pakistani Films". British Film Institute. 2002. Archived from the original on 12 October 2008. Retrieved 14 March 2009. ^ "User Poll: Pakistani Top 10". British Film Institute. 2002. Archived from the original on 11 October 2008. Retrieved 15 March 2009. ^ David, Joel. "Fields of Vision – Ten Best Filipino Films Up to 1990". Amauteurish!. Retrieved 19 January 2017. ^ "Asia Pacific Screen Awards Winners Announced". ebroadcast.com.au. 12 November 2008. Archived from the original on 5 December 2008. ^ "50. najlepszych polskich filmów wszech czasów" [The 50 best Polish films of all time] (in Polish). Stopklatka.pl. Retrieved 17 May 2014. ^ "Cele mai bune 10 filme romanesti (?!)" (in Romanian). Dob.ro. Archived from the original on 18 January 2012. Retrieved 4 August 2011. ^ "Помогая Михалкову". Seance. 5 July 2012. Retrieved 19 January 2017. ^ Gocić, Goran (2001). Notes from the Underground: The Cinema of Emir Kusturica. Wallflower Press. p. 172. ISBN 9781903364147. ^ "Czech and Slovak Film Festival". Pictures of the Old World. Archived from the original on 8 February 2016. Retrieved 4 February 2016. ^ "Slovenian New Wave - Canadian Film Institute - Institut canadien du film". www.cfi-icf.ca. Archived from the original on 14 October 2017. Retrieved 13 October 2017. ^ "영화전문가 1백1명이 뽑은 「20세기 한국 最高의 영화·감독·배우」". The Chosun Ilbo. December 1999. Retrieved 20 January 2017. ^ * "[100선]한국영화사의 찬란한 순간들을 그러모으다". Korean Film Archive. 8 April 2014. Archived from the original on 14 May 2015. Conran, Pierce (16 January 2014). "KOFA Releases Top 100 Korean Films List". Korean Film Biz Zone. Retrieved 20 January 2017. ^ "[100선]관객이 뽑은 역대 최고의 한국영화는?". Korean Film Archive. 21 April 2014. Archived from the original on 14 May 2015. ^ "The 50 Greatest Films of All Time". British Film Institute. Retrieved 5 October 2017. ^ "Directors' top 100 | BFI". www.bfi.org.uk. Retrieved 5 October 2017. ^ "100 películas". Caimán Cuadernos de Cine. No. 49. May 2016. pp. 8–9. ^ "Cien españoles y el cine español". Nickel Odeon. No. 1. Winter 1995. ^ "User Poll: Sri Lankan Top 10". British Film Institute. 2002. Archived from the original on 20 November 2008. Retrieved 15 March 2009. ^ "Top 10 Sri Lankan Films". British Film Institute. 2002. Archived from the original on 20 November 2007. Retrieved 14 March 2009. ^ * "De 25 bästa svenska filmerna genom tiderna" (in Swedish). 30 August 2012. Retrieved 2 May 2014. "'FLM topp 25'" (in Swedish). 2012. Retrieved 19 January 2017. "100 Greatest Chinese-Language Films". Taipei Golden Horse Film Festival. Retrieved 20 January 2017. "100 Greatest Chinese-Language Films: Juries". Taipei Golden Horse Film Festival. Retrieved 20 January 2017. ^ "Türk Sineması'nda yüzyılın en iyi filmleri seçildi!". Hürriyet. 28 January 2016. Retrieved 19 January 2017. ^ "'En İyi On Türk Filmi' belirlendi" (in Turkish). Arsiv.ntvmsnbc.com. Retrieved 4 August 2011. ^ "Названы лучшие украинские фильмы 2011 года и последнего 20-летия". delo.ua. 23 March 2012. Retrieved 19 January 2017. ^ "The BFI 100". British Film Institute. Archived from the original on 1 July 2008. ^ Hastings, Chris; Govan, Fiona (15 August 2004). "Stars vote Lawrence of Arabia the best British film of all time". The Daily Telegraph. London. Retrieved 2 May 2010. ^ Fitzgerald, Martin (2000). Orson Welles: The Pocket Essential Guide. Summersdale Publishers Limited. p. 95. ISBN 9781848396807. Retrieved 14 October 2017. ^ Dent, Jackie (4 October 2004). "Get Carter voted best British film". The Guardian. Retrieved 14 October 2017. ^ "100 best British films: The list". Time Out London. Retrieved 15 January 2017. ^ "Italian Job blows away contemporary competition... Sixties classic voted best British film ever". Mail Online. Retrieved 14 October 2017. ^ Healy, Jack. "'The Italian Job' named the best British film of all-time - AOL UK Cars". Retrieved 14 October 2017. ^ Wexman, Virginia (28 June 1998). "Greatest Movie Polls: What Do They Mean?". Chicago Tribune. Retrieved 20 January 2017. "Best in Film: The Greatest Movies of Our Time – Entertainment News – ABC News Radio". ABC News Radio. Retrieved 30 November 2016. "Welcome to the Best in Film Vote". ABC News. Archived from the original on 30 November 2010. ^ "The 100 greatest American films". BBC. 20 July 2015. Retrieved 23 August 2016. ^ "AFI's 100 Years...100 Movies". www.afi.com. Retrieved 4 December 2016. ^ "AFI's 100 Years...100 Movies – 10th Anniversary Edition". www.afi.com. Retrieved 4 December 2016. ^ The Most Important and Misappreciated American Films Since the Beginning of the Cinema. Royal Film Archive of Belgium. 1978. ^ "Los Angeles Daily News film poll (1997)". Filmsite.org. 3 December 1997. Retrieved 4 August 2011. ^ Solomita, Mariangel (10 December 2015). "Whisky: es la mejor película nacional". El País. Retrieved 20 January 2017. ^ a b Izaguirre, Rodolfo (May 2016). "50 Aniversario De La Fundación Cinemateca Nacional". Fundación Cinemateca Nacional. No. 296. pp. 7–8. "The 1,000 Greatest Films" at They Shoot Pictures, Don't They?